To celebrate the lunch of our new website we are giving everyone the chance to enter a UK draw to win a Sky Now TV box worth £9.99 RRP! All you have to do is retweet this message or like our Facebook page! 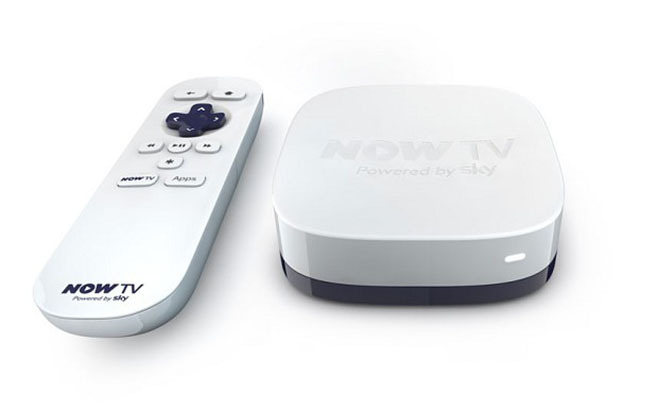 Sky Now’s TV box will allow you to stream on demand entertainment directly to your big screen TV, Simply choose a low-cost online subscription that uses your current broadband connection to watch the latest top movie and series titles, or catch up with your favourite UK TV programmes using BBC’s iPlayer and Channel 4’s 4oD (Four on Demand). No cash or prize alternative is offered. If entering by Twitter your account must not be operating in ‘Protected Mode’. This is so we can confirm the account holder is not a bot. You will need to purchase/subscribe to Sky NowTV’s service to view ondemand. Sorry but the competition is for adults only (18 years and older). House Clearance Poole is not responsible for any damages should the item fail in anyway or form. The item will be purchased from a online retailer or seller. Warranty should be dealt with the retailer or seller and not HCP. We will not be liable for items lost in post. We will however use recorded mail. Our services are great for domestic customers, all our clearance services are flexible and professional but what sets us apart from the rest is our affordable pricing. Typically our services are cheaper than hiring a skip or a large van for the day. With us you’re not committed and you will only need to pay us for what items you need removing. We cater for all types of businesses as well as local authorities, letting agencies and housing associations. Our team is professional, responsive and eco-friendly aware. House Clearance Poole provided me with a friendly service and great results; I will definitely recommend them to friends and family. Thanks. Sarah Harrison. I’ve used several house and rubbish clearance companies in Bournemouth and Poole and I’ve got to say that this company by far exceeded the rest in some many ways. Prompt, fast and affordable... everything I wanted. Thanks! Sadly I was one of the many to fall victim of the windy storms this winter and House Clearance Poole dismantled and disposed of my fallen broken shed. Thank You. Really affordable service and the team obviously had lots of experience in handling and disposing of deceased effects as they were very. Ty.